This is pretty awesome news for the Facebook users that, now then can delete all the offensive and a vulgar content which is linked from their account without their prior allowance. If you have seen some of the content or a post on the Facebook that are some offensive and vulgar linking with your account, which makes you irritating then there is a solution for that. There is a application developed by some researcher of Kent State University name as "Facewash". According to the Los Angeles Times reported, this app will search that content which a users wants to delete. It includes status updates, photo caption, comments for the users or a links that gets on the comments. As per the Lead researcher "Daniel Gar" said, "we felt that the site has a lot of content that the user does not want to see any more." He made the "Facewash" with his two colleagues "Camden Falmer" and "David Steinberg". 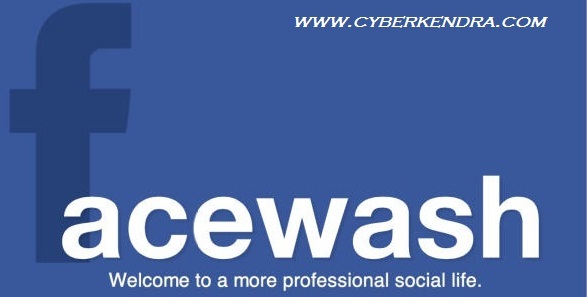 To use this application users have to go first at http://facewa.sh website. There users have to click on the get started and logged in with Facebook accounts. user allow the permission to app to use the content of the users accounts. Then ask them to find an offensive word. Facewash will be to scan the content of the users accounts. If the application founds the match words then, it will give the link to that content by which user can delete that content. Daniel says that recently launched this application was used by the 20 thousands people, as this is just a beta test of the application, hence some problem may arise on it.